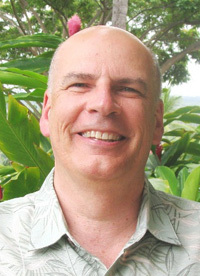 Pyramid Kona Management LLC has appointed veteran hotelier and Certified Hotel Administrator Steven Lindburg as area managing director and general manager of Sheraton Keauhou Bay Resort & Spa. With more than 25 years experience in the hotel and resort industry, Lindburg will oversee all aspects of operations at Sheraton Keauhou Bay Resort & Spa, including the resort’s upcoming multi-million dollar guest room and public areas reinvigoration. Lindburg was most recently general manager at the Waldorf Astoria Park City, Utah where he was active as board chairman of the Utah Office of Tourism and served on the Utah Olympic Bid Committee. Previously, he spent 16 years as general manager at the Hilton Salt Lake City Center hotel. Lindburg has also held a number of tourism and business development positions including with the Salt Lake City Convention & Visitors Bureau and with civic and hotel associations. He was named Utah Hotel & Lodging Association’s General Manager of the Year in 2007. Sheraton Keauhou Bay Resort & Spa was recently purchased by Kona Surf Partners LLC. Pyramid Resort Group was retained to manage the 22-acre, 519-room Kona Coast property as a Sheraton under a franchise agreement with Starwood Hotels. Sheraton Keauhou Bay Resort & Spa has added new cultural activities for guests and the public to enjoy including complimentary twice-weekly guided tours of the cultural preserve area adjacent to the resort. The tours enhance guests’ appreciation and understanding of the area’s importance in Hawaiian history. Other guest activities now include lei making, hula and story-telling around a shoreline fire pit while enjoying s’mores. Daily pastimes vary and might also include rubber duckie races down the slide, water volleyball, and arts and crafts. Sheraton Keauhou Bay Resort & Spa debuted a new teens-only hangout called Club Lealea (“fun”) with Xbox and Wii games. In addition, the resort has also revamped their locally-focused menus to better showcase the island’s bounty.